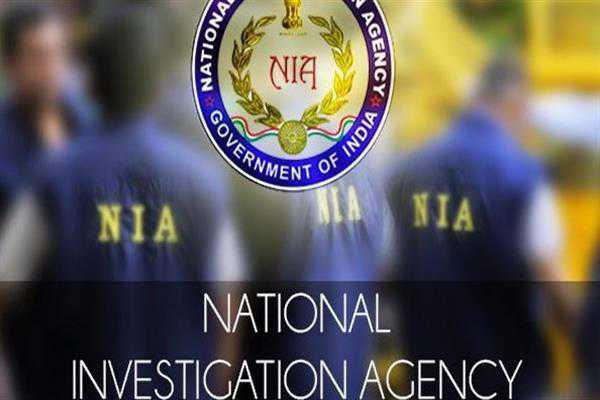 New Delhi: A Delhi Court on Thursday remanded ten persons arrested in connection with ISIS case to 12-day National Investigating Agency (NIA) custody. They were arrested by the NIA on Wednesday after the probe agency carried out searches in coordination with Special cell of Delhi Police and Anti Terrorism Squad of Uttar Pradesh Police. The NIA raided six places at Jafrabad and Seelampur in Delhi, and six places in Amroha, two in Lucknow, two in Hapur and two in Meerut, Uttar Pradesh. The accused, who were arrested for their suspected involvement in ISIS activities, were planning suicide attacks and serial blasts, targeting politicians as also government installations in Delhi and other parts of Northern India. The arrested persons are Mufti Mohammed Suhail alias Hazrath (29), Anas Yunus (24), Rashid Zafar Raq alias Zafar (23), Saeed alias Sayeed (28), Saeed's brother Raees Ahmad, Zubair Malik (20), Zubair's brother Zaid (22), Saqib Iftekar (26), Mohammed Irshad (in late 20s) and Mohammed Azam (35). According to NIA , the arrested persons include the alleged mastermind 29-year old Suhail, a mufti or a Muslim legal expert empowered to give rulings on religious matters from Amroha in Western Uttar Pradesh, an engineering student in a private university in Noida and a third year graduation student of humanities in a university in Delhi as well as two welders.